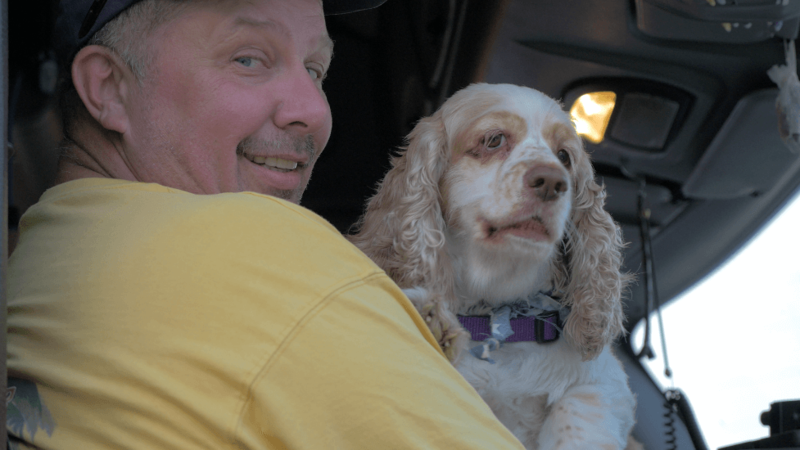 We got to know owner-operator Scott Wagner during our Meet the Trucker Q&A. Scott had lots of wisdom and advice to share with the Trucker Path team. Q: How did you hear about Trucker Path? A: I found out about Trucker Path about 3 months ago from my good, good friend. Word of mouth is the best solution for everything. Q: Would you recommend Trucker Path to friends? A: I would recommend this app to aliens out on Mars. Q: Do you encounter a lot of aliens on the road? A: A couple of these drivers, the way they look these days, might as well be. Q: How has Trucker Path impacted your driving? A: Trucker Path has made a big impact on how I have been driving just recently. I was a company driver for 22 years and became an owner operator. Now, Trucker Path is out there telling me where the next weigh station is; tells me if it’s open or closed. It’s been beneficial in my driving success to get further down the road. Q: What do you like about Trucker Path? A: Everything I have seen so far on the app has been helpful in driving. Number one, knowing about the scales and, two, knowing where the next fuel stop is going to be. Being an owner-operator and not being told where we have to stop, it’s beneficial knowing I can make it another 150 miles on my next tank of fuel as opposed to 25 miles before. Q: What features are most useful? A: Weigh stations or next fuel stop. Also, at the end of the day it’s telling me is the lot full, is it half empty, is there plenty of parking, and also where my next Walmart store is. I love that, and there are no apps out there for that. Q: Got any good trucking stories? A: The organization I am with – people like to toilet paper other trucks. So don’t leave your truck unattended. That’s all I’m gonna tell ya. Q: What does a hero truck driver look like to you? A: It’s a person that does their job and is not afraid to lend a helping hand, even when they are not asked. We are a tight knit family out here, as a trucking group. Q: Do you have any advice for other truckers? A: Be yourself. Don’t try to be a “super trucker.” Be positive in your job. Be smart about it. There’s a lot of stupidity going on – make a positive influence on other drivers. Q: Any parting words or comments on trucking in general? A: The trucking business is a tight knit family – a lot of good and a lot of bad – and people like you guys helping to make it better than what it was.